PgMP® addresses the community of professionals who manage multiple projects. Interact with the instructor and the participants on a live basis and in a physical classroom. Interact with the instructor and the participants on a live basis, but through online medium. Learn at your own flexible timings and at your convenience. Avail Free resources as well. The Program Management Professional Certification (PgMP)® credential from Project Management Institute (PMI)® addresses the community of professionals who manage multiple projects so that the organization realizes enhanced benefits. Program Management operates in high ambiguity and high uncertain environment and hence, the program managers require specialized skills to succeed in their programs. They are required to direct and manage complex activities that may span functions, organizations, cultures and geographies. 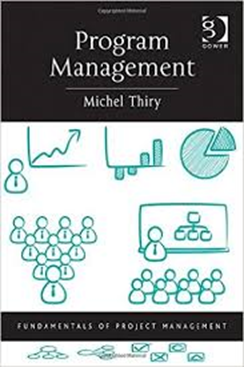 ProThoughts collaborates with Michel Thiry and his book on Program Management. This is regarded as one of the pioneers in the Program Management space. The focus is not only to get you the coveted PgMP® Certification but also you can learn on how to apply the Program Management concepts in your organisations and have the cutting edge in your career growth. PgMP Certification training tests your knowledge on 5 Performance Domains , i.e., Strategy Alignment, Stakeholder Engagement, Benefits Management, Governance and Performance. As a PgMP® credential holder, you will be able to promote better integration and coordination of multiple projects for the overall benefit of the program. ProThoughts receives enquiries for their popular PgMP Certification course from various other geographies and we are proud to offer the PgMP Online Certification. This enables participants to come online from their specific geographies and learn new skills and obtain a new PgMP Certification. The Online training of ProThoughts is as effective as Classroom training because of the “Game based Interactive” methodology where we keep the participants engaged through activities and games. The PgMP Online course in conducted over the internet and the participants should have a proper internet connection to take away the learnings. "We emphasize on Learning the concepts than rote learning and we do so by our uniquely designed methodology where we play games and have fun learning for the 36-hour intensive learning." "We provide popular materials like RMLS (Rita Mulcahy Learning Solutions) , Michel Thiry, etc. Besides the book, we also provide customized books, Flash Cards, Mind Maps, Online Mock tests, Indigenously prepared Hand Out slides which helps prepare & crack the exam"
"We offer assistance pre & post training, such as exam analysis, a F2F concept clearing session with experts, Exam simulation assistance, PMI audit, Application form filling and handhold individuals till they are certified." "With us, rest assured - you are not only going to crack the exam but pass with flying colors. Check Customer speak & Terms & conditions"
"Our Instructors come with a deep passion and dedication to project management. We do not have people working from Mon to Fri in another job and teaching part-time for us." "Our expert team personally assists individuals by mentoring and guiding them with future opportunities in career development. Lifetime free access to Project Management resources and content." Date : 3rd, 4th, 10th & 11th August 2019. Ashish has extensive professional experience and has worked with the top 4 global companies and helped each one of them to incubate their different practices. How I get PgMP® (Program Management Certified)? PMI, PMBOK, PMP, PgMP, CAPM, PMI-RMP, PMI-ACP have registered trademarks of the Project Management Institute, Inc.
What is the cost of taking the PgMP exam? The fee for PMI members is $800 and $1000 for non-members. The re-examination fee for members is $600 and for non-members $800. How long is the PgMP certification valid for? PgMP Certification is valid for three years and the candidate is required to attain 60 professional development units (PDUs) to maintain credentials. How long does it take to renew the PgMP certificate? Once you have attained the PgMP credential you must participate in the Continuing Certification Requirements (CCR) program to maintain an active certification status. The PgMP certification cycle lasts three years during which you must attain no less than 60 PDUs toward credential maintenance. Upon successful completion of a single cycle, a new three-year cycle begins. If I need to cancel my enrollment, do I get a refund? Do you provide a money back guarantee for the training programs? Michel Thiry is co-founder and managing partner of Valense Ltd., a global organizational consultancy and PMI Global Registered Education Provider since 2003. He has extensive worldwide experience and has worked in many cultural environments. He is recognized as a worldwide authority in strategic applications of project management, program management and value at the organizational level and has supported the development and implementation of a number of strategic programs for major corporations in various fields. Dr. Thiry is a regular keynote speaker for major international events, both at the academic and practice levels, since 1996. In 2013, PMI published a revised and updated version of his book, A Framework for Value Management Practice. His 2010 book, Program Management, received an Award of Merit by the Canadian Project Management Association and is on PMI’s recommended list of readings for the Program Management Professional (PgMP)® exam. Our study curriculum is based on Michel Thiry’s book which we have collaborated with. What I need to do to get PgMP certified? You can prepare for the PgMP Certification by attending our PgMP SUCCESS® Training based on Michel Thiry book and coached by our in-house instructor, Ashish Sadekar. Post the training, you can get connected with various study groups available with us and on our social platforms as well. You need to go through our material & content and attempt our Mock Tests to clear the exam. Who are the instructors for PgMP? One of the differentiators at ProThoughts is the material and the instructors. This determines the quality of the training and satisfaction of the participants. We have in-house instructors to conduct this course. This course is conducted by Mr. Ashish Sadekar who is not only PgMP Certified, but PfMP, PMP, PMI-ACP and Scrum certified, and is known for his trainings. In short, this will be master-class on PgMP certification by our instructor. Who can attend the PgMP Certification? Please drop a mail to info@prothoughts.co.in and we will get back to you at the earliest. It was amazing experience with the trainer,he gave us all the basics with micro level real time situations.Unlike other institutes, Prothoughts provides full extended support. Master your PMP Certification with interactive Online training session. Learn and Implement Agile methodology for your Project success. Learn Program Managerial skills with Program Management Certification.